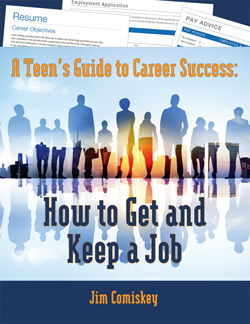 A Teen's Guide to Career Success: How to Get and Keep a Job offers a unique and engaging format that effortlessly delivers a comprehensive set of workplace skills, traits and attitudes that teens need to get a job. Using the story-telling format of a script, this interactive book offers teens the opportunity to learn essential skills in a safe environment and have fun while doing it. The story is interesting and engaging: On assignment for the Centerville High School paper, students Whitney and James take the readers on a series of interviews with past graduates who have successful careers and businesses. Along the way they uncover the unwritten rules and secrets of success about how to get and keep a job in today's world. Through these real life situations teens can learn important skills like choosing a job they like, interviewing, preparing resumes, making a good impression, working with others, providing customer service, networking and more. The book's colorful design and easy-to-follow format add to its impact.